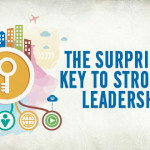 In the fourth part of this series examining the seven key findings from Good to Great by Jim Collins we focus on what is known as the hedgehog principle. Let’s first look at the principle and then jump over to think about how kids ministries often operate before returning to the principle to see how it might apply to our ministries. The hedgehog principle is based on the difference between foxes and hedgehogs. The cunning fox can devise many different ways to hunt a hedgehog, while a hedgehog only knows one thing—how to curl up into a spiked ball. But here’s the thing—the hedgehog always wins. When a business focuses on what it loves to do, what it excels at doing, and what is profitable for it to do, it will succeed. And that is what great companies do. 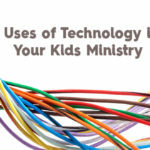 Now, let’s think about how many kids ministries (and churches as a whole) often operate. If churches had a “life verse,” it would probably be 1 Corinthians 9:19-23 most often. This is where Paul wrote that he had become all things to all people so that he might win them. The corollary that churches often develop from this passage is that they need to do whatever it takes to reach people. So they will quickly add ministry programs and events with that noble intention in mind. The result, however, is often a bloated calendar, stretched resources of money and people, and events and ministries that are not thriving. We have to appreciate the heart behind this approach, but we also have to be careful. Paul’s goal of being all things to people was to win them to Christ. Sometimes our programming has more to do with pleasing people than sharing and living the gospel. Then there are other times when our programming is focused on the gospel, but we simply cannot sustain the blistering pace. Sure we have to take steps of faith and allow God to stretch us, but we also need to be wise, faithful stewards of what God has entrusted to us. So let’s look at three questions developed from the hedgehog principle to help us find our sweet spot of ministry—where we are most effective for the gospel. What you are passionate about. We are all passionate about the gospel and kids, but that still leaves quite a bit of room. What gets you and your team up in the morning? What parts of ministry do you do that are actually fun? What do you value most in ministry and would be heartbroken if you couldn’t continue doing it? What you can be best at. We need to be honest with ourselves here. We cannot excel at everything. What are the talents of your team? What do your resources enable you to do with excellence? What makes the biggest impact on kids and families in your community? Plot out each of those circles and see what falls in the middle. That is what you need to focus on and protect. Conversely, pay attention to what is only in one circle or not even on the chart. Unless it is in the last circle, you really need to consider whether you should continue doing it. Is it worth the resources? Can it be impactful? Ministry resources are precious. Let’s steward them well. Next up: Creating a culture of discipline where your team never stops learning and growing. 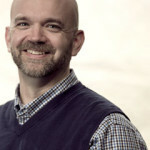 Brian Dembowczyk is the team leader for The Gospel Project for Kids. 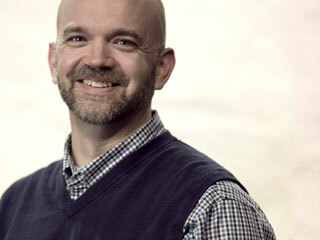 He served in local church ministry for over 16 years before joining the LifeWay Kids team. Brian earned an M.Div. from the Southern Baptist Theological Seminary and a D.Min. from the New Orleans Baptist Theological Seminary. Brian, his wife, Tara, and their three children live in Middle Tennessee where Brian enjoys drinking coffee and teaching 1st-3rd graders at City Church.